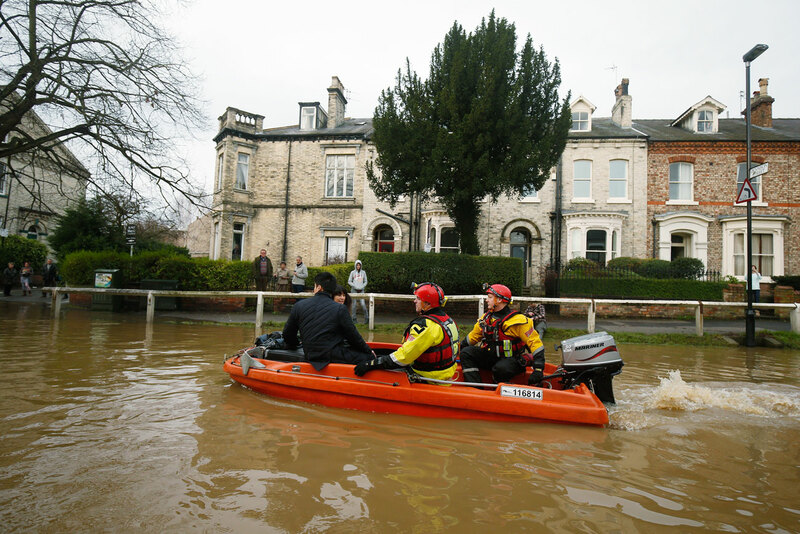 Turning the tide: urgent action on climate change is necessary to help prevent global flooding events, such as this one in the UK last December. Russia and Britain have a mutual interest in taking action to help implement the Paris Agreement on Climate Change. Climate change for Russia and the UK is an issue of mutual interest, one on which the two countries should continue their constructive dialogue. On Nov. 22-24 2016, UK special representative for climate change Sir David King visited Russia at the invitation of the energy ministry. “Both countries supported the Paris Agreement on Climate Change and I was glad to meet Russia’s government and industry representatives to discuss spheres of collaboration,” Sir King said. Sir King came to Moscow immediately after the UN Marrakech COP-22 Climate Change Conference, where those taking part called for a greater political commitment in the fight against climate change. “Global climate change is an anxious fact. We need proper efforts from the entire world community, including on the political level, in order to stop the harmful processes for nature and civilization,” says Andrei Reznichenko, an independent ecology expert and author of the Ecological Map of Russia. Participants at the conference in Marrakech confirmed the target announced earlier to collect $100 billion for developing countries’ adaptation to climate change. The new agreement, which is expected to fight global climate change, was adopted on Dec. 12 2015 as a result of the 21st Climate Change Conference in Paris. The forum’s participants agreed to prevent increases in the Earth’s average temperature by 2100 by more than 2 degrees compared with pre-industrial era temperatures. Scientists believe that a higher temperature increase may lead to irreversible consequences for the environment. “One of the instruments for reducing heat emissions on the planet is the large-scale development of nuclear power,” says independent nuclear energy expert Alexander Uvarov. “Nuclear power plants do not release emissions into the atmosphere, either dangerous or heat emissions. Russian special presidential envoy for climate affairs Alexander Bedritsky said that, today, Russia was concentrating on developing documents elaborated by the Paris Agreement and calling on countries to create mechanisms to implement the Paris Agreement. In Moscow, his British counterpart said that Russia and the UK could only gain from their cooperation on climate change. In Sir King’s words, interactivity can be organized in the development of infrastructure and cities.